More seniors are remarrying, but these blended families create challenges under existing Florida law. 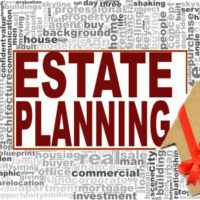 For example, if you die before your spouse, then he or she is entitled to a large chunk of your estate. In that case, how will you provide for your children from a previous marriage? Fortunately, you can plan for these contingencies with a postmarital agreement. However, you should meet with an experienced elder law attorney who can make sure the agreement is drafted properly. Most people have heard of premarital agreements, called “prenups.” These are agreements couples make before entering marriage and usually explain how property will be divided in the event of divorce and/or death. Postnuptial agreements are very similar, except the couple signs one after already being married. They are expressly allowed under Florida law. A postnuptial agreement is often ideal so that one spouse does not feel as if the marriage will fall through if they don’t sign. Couples can approach their agreement in a very deliberate manner, creating a document that both believe in. How Do You Create a Postnuptial Agreement? Florida law requires that these agreements be in writing and signed by each spouse. Each spouse must also voluntarily agree to the contents of the agreement and cannot be coerced into signing. Part of creating a valid agreement is fully disclosing your current financial situation. Neither person can hide assets or misrepresent what they own. If they do, then the agreement might be invalid. Because fully documenting your assets can be a time-consuming and confusing process, you might need legal help pulling everything together. You also cannot draft an agreement that is too overreaching or unfair. An attorney can help you draft a postnuptial agreement that will stand up to judicial scrutiny. How Does an Agreement of This Type Help a Blended Family? A postnuptial agreement can provide peace of mind that your children from a previous relationship will be provided for. In Florida, the surviving spouse can take a share of their spouse’s estate, regardless of what is contained in the will. This means that you will have fewer assets to pass onto your children if your spouse decides to exercise their right to 30% of your estate. Helpfully, your spouse can agree in a postnuptial agreement to waive this right. He or she can agree to accept fewer assets or no assets at all. This means that more assets will be available for your children. Likewise, you can waive your right to this share in the same agreement so your spouse’s children can enjoy their parent’s estate assets. At Millhorn Elder Law Planning Group, we work with seniors who are contemplating another trip to the altar. Our lawyers have drafted prenuptial and postnuptial agreements for many clients, and we know how to do them right. For more information, please contact us for a free initial consultation by calling 800-743-9732.